Hello Leo Listeners. 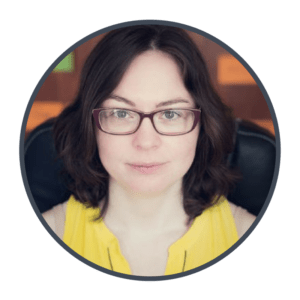 This week, I’m interviewing the lovely Paloma from Brazil about her experiences on Freedom from Subtitles. 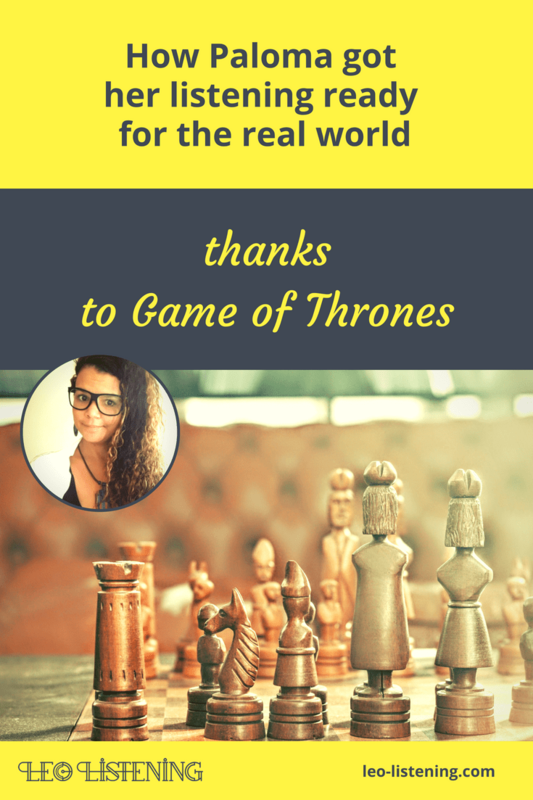 We worked together for four weeks earlier this year so that she could watch Game of Thrones without the subtitles and use her improved listening skills to help her get ready for a new life in Canada. I would have loved to do a video interview as Paloma is great on camera, but our time zones and schedules meant it was too complicated. So we chatted via the magic of Google Docs. Can you tell us a bit about yourself first? Paloma: I’m from Brazil, but I’ve been living in Ecuador for 8 years. I’m a biologist and a university lecturer. Cara: Wow, so you’ve been abroad for quite some time now. Impressive. Paloma: Actually, I didn’t have any hesitations whatsoever. The first thing that I thought was “wow, it’s the exact course that I need to improve my listening skills”. Cara: That’s so sweet Paloma, thank you! What convinced you to enroll in Freedom from Subtitles? 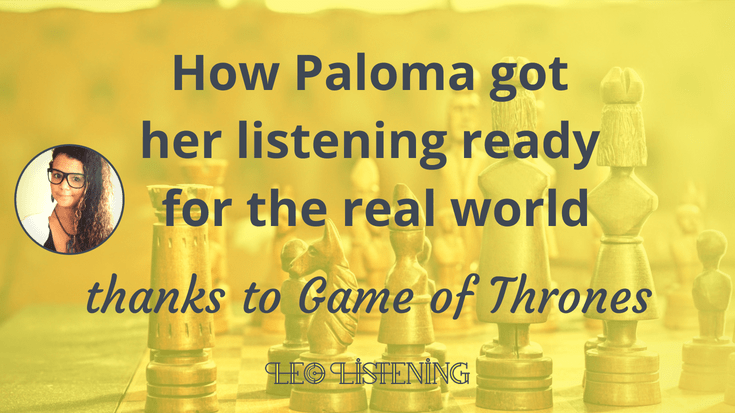 Paloma: To be honest, I’m preparing for an important exam, and I knew that one of the four areas of English I need to improve is listening. Of course, I wanted to start to understand Game of Thrones without subtitles too. Cara: It’s really cool that you were able to combine the practical aspect of needing to prepare for an exam, with something you love doing anyway which is watching Game of Thrones. It’s so much more fun for me to teach real, fast spoken English with series I love too. Paloma: I believe that I am more confident with some expressions, the accent of the actors, etc. Some TV shows are a bit complicated, but now I can use some techniques learnt in the course to understand them better. Cara: Great, I’m glad to hear that. And yes, you do learn transferable skills that you can use with other shows to understand them better. 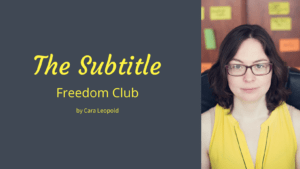 It’s easy to get hooked on the subtitle freedom lifestyle once you’ve experienced it. Paloma: The course is well-organized. 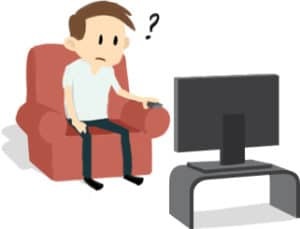 Every single day I had exercises to do and I didn’t spend too much time on them because I was watching my favorite TV show. I really improved my pronunciation and understanding. Cara: That’s great. Yes, the “exercises” are less painful to do when you’re working towards understanding a show you really want to watch without subtitles. And I try to pick scenes that are both challenging from a listening point of view, but also fun to watch. Paloma: The greatest benefits were the imitation technique and the general idea of the episodes. Cara: Right, ok. One of the things you do on the course is try to imitate the actors’ pronunciation as closely as possible. It’s not exactly shadowing but it’s a way to cut, blend, or reduce sounds the way they to do in order to train your ears. If you can’t pronounce that way, it’s no big deal. The aim is to get you ready to hear English the way it’s really spoken. Cara: Thanks Paloma, I really appreciate that vote of confidence! Great to hear Paloma’s story! I’m sure this type of a program was more fun, relaxing and productive than the usual fill-in-the-black IELTS prep. Cara, thank you for your amazing work!